We invite you to worship with us and experience the difference that God’s grace makes in your life. Please see our Church Newsletter for more information about recent events within the church, missions, and upcoming activities. Ever want to sing the Hallelujah Chorus from Handel’s Messiah? At the end of the 10:00 am service, you’ll be invited to sing with the choir in singing this uplifting song. Just a desire to sing and praise God. You are guaranteed to feel exhilarated by the experience! A mission to combat hunger at the local level, Food for Thought provides food for school-year weekends for food-at-risk students at local middle schools in Baltimore County. May 5, 2019 – Special Youth Service @ 10:00am. This Annual Worship is led by our High School Youth. Please join us for this uplifting special service! Each Friday, there is a Men’s Fellowship Group that meets for coffee and donuts and is a time for reflection. 10:30 am – Blakehurst Senior Center – Contact the Church office. Fellowship with refreshments follows both services. 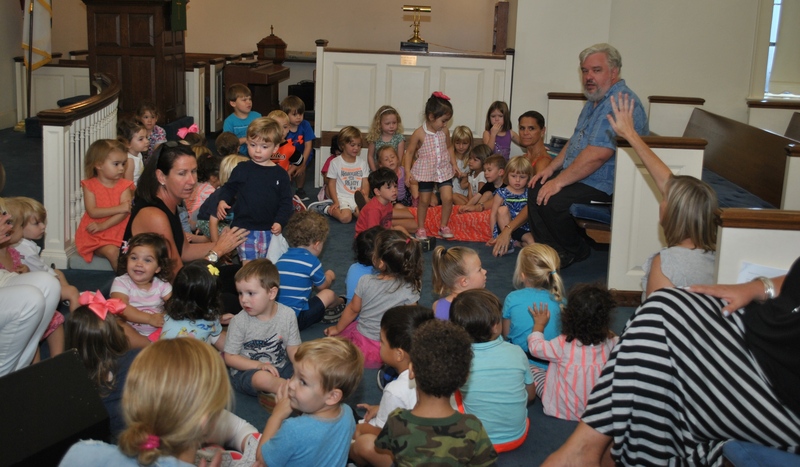 Nursery Care for children under age 3 is provided during the 10:00 am service. Sunday School for children age 3 through the 8th grade. In the event of inclement weather, please use your best judgement. We will make a decision as soon as possible about worship service cancellation and use our phone robocall and text message service for notification. Please contact the church office to subscribe to either of these options.